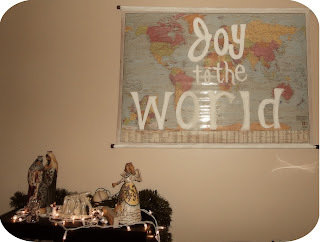 ' Joy To the World - Map Decoration - Sisters, What! 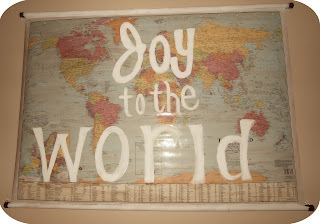 I saw this picture on Pinterest and loved it, and I thought it would be the easiest project; which it was. A few months ago at our party surplus store, I found a party map for only $.99; yep 1 dollar. 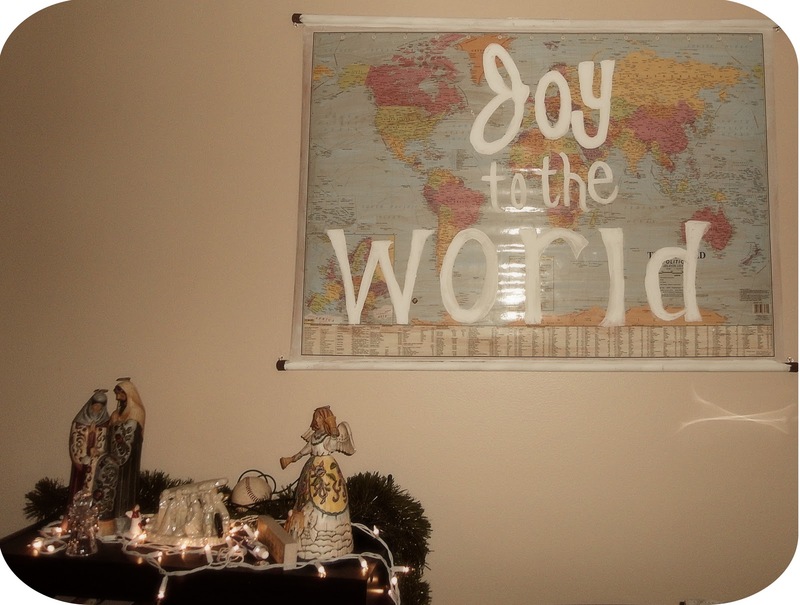 So, I figured it was was totally worth the price and effort to try painting the 'Joy the the World' out. 1. First I sketched out my letter design. 2. Then I painted with tons of cheap white acrylic paint until it looked how I wanted it too. 3. Then I hung it smack center on the wall. I just love Christmas Decorations that center around the true meaning of Christmas. This is beautiful. I'm copying this in my kitchen asap. 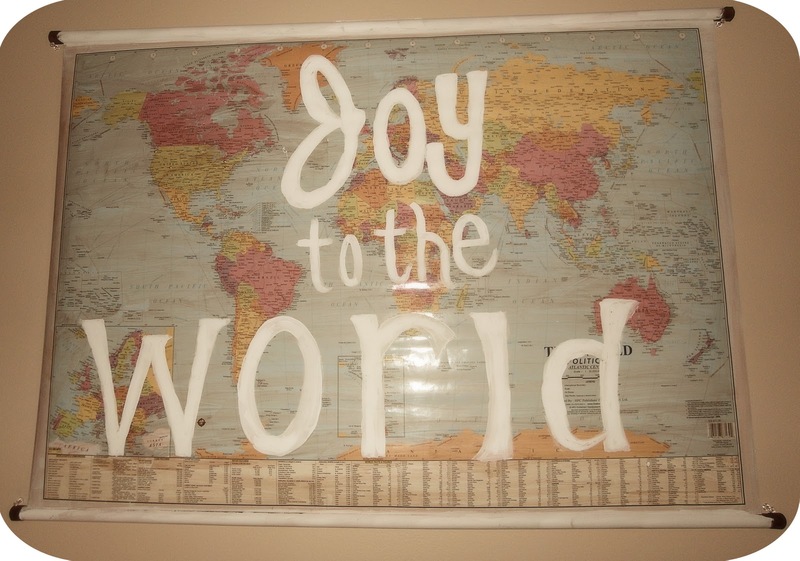 I have a map on my wall already and love the thought of joy and peace coming to the whole world!